Founded in 1936, Quinebarge is a premiere coed summer camp for boys and girls ages 7-16, serving up to 175 campers per session. Our focus on safety, fun, and friendship means that whether it’s your child’s first summer or their tenth, their summer at Quinebarge will be a once-in-a-lifetime experience that they will cherish forever. In order for campers have fun, form friendships, and grow, they must feel comfortable and safe in their environment. At Quinebarge, we put safety first in all aspects, including in campers’ perceived sense of security. Each year, we screen our staff through a rigorous vetting process, and train them to help children feel safe and welcome from day one. Our Directors also train staff in first aid, CPR, and use of AEDs, at a minimum. We intentionally design our program to help campers grow, learn, celebrate achievements, and even make mistakes in a structured, supportive setting. Additionally, we are accredited through the American Camp Association. There’s no fun like summer fun, and certainly no friend like a camp friend. 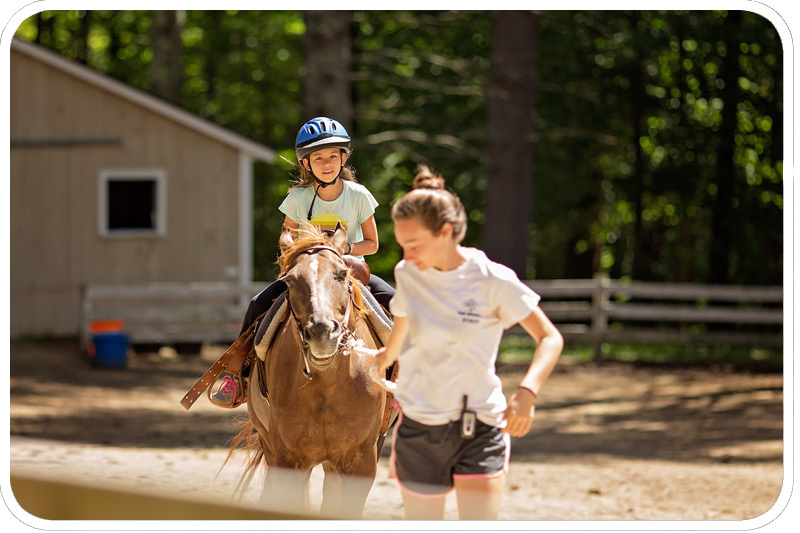 We focus on these two values – fun and friendship – to ensure that campers have the best possible experience. Each week, campers create their own schedule from our list of activities, for a mix of things they already love, and new activities to explore. To ensure that everyone goes home with new friendships, our counselors focus on bonding experiences from the first day. Icebreakers, games, challenges, and small group adventures are just the tip of the iceberg when it comes to making friends at camp. With all of these opportunities to bond, your camper will leave Quinebarge with new friendships that will last a lifetime. A session (or two, or four) at Quinebarge is the perfect vacation from today’s hectic, plugged in world. Our screen free program offers campers hands-on experiences and real friendships that they will treasure for a lifetime. Without worrying about likes, followers, or keeping up with social media posts, they can focus on being present and truly experiencing the world around them. Best of all: at the end of each session, campers tell us they ‘didn’t even miss’ their phones, tablets, and computers, amd even use them less as they return home.